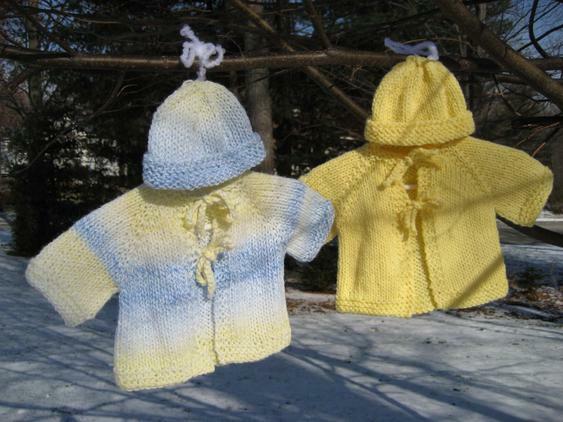 The Bring Baby Home Hat and Sweater is a quick to knit outfit for a newborn baby. If you need a quick shower gift that will look spectacular, this is the perfect pattern. The raglan sweater is knit in stockinette stitch in one piece from the top down. Both the hat and sweater are made with one skein of worsted weight yarn. 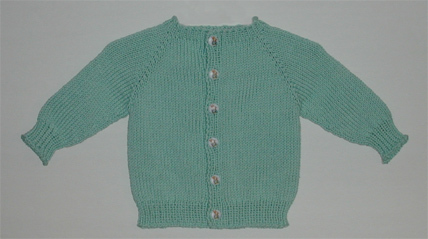 The Baby Sweater is a raglan sweater knit in one piece from the neck down. 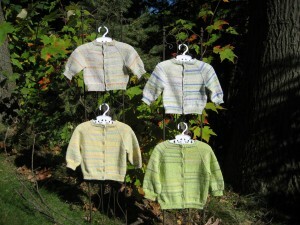 It is sized for a baby 6-12 months and is made in a lightweight worsted yarn. The Baby Hat is a rolled brim hat with decorative I-cord on top of the hat. 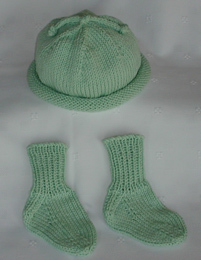 The Baby Hat and Socks are made in a lightweight worsted yarn and coordinate with the Baby Sweater. They are sized for a baby 6-12 months. 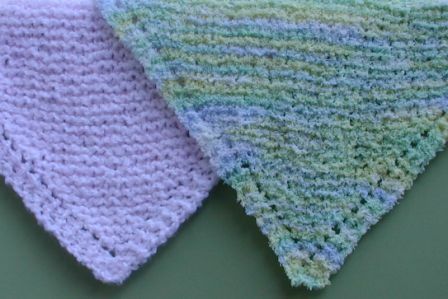 The Diagonal Baby Blanket is a wonderful pattern that lets the knitter create a truly unique baby blanket. The blanket is knit on the diagonal and has a special edging that adds a very finished and professional look to the blanket. The blanket is made with bulky yarn. 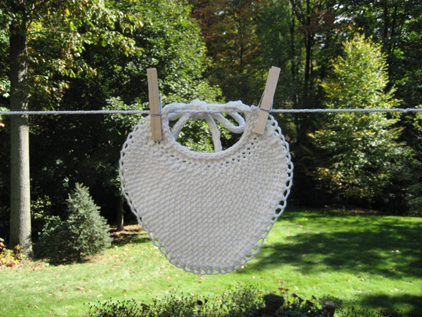 This is a quick to knit Baby Bib that can be made in any worsted weight cotton yarn. 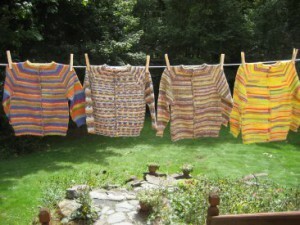 The pattern is written for two sizes, infant and toddler. 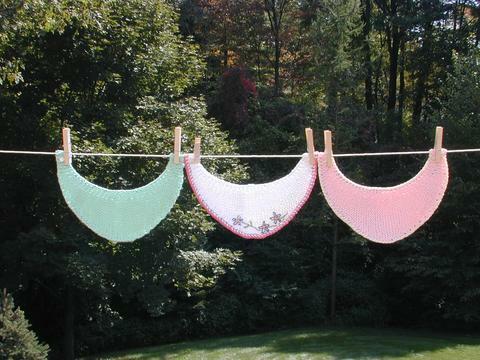 Make your special baby bibs in 100% cotton. The cotton will absorb spills, protect their clothes, and will be soft against their skin. The bibs have button closures. The Baby Bibs make very nice shower gifts for the new mom.